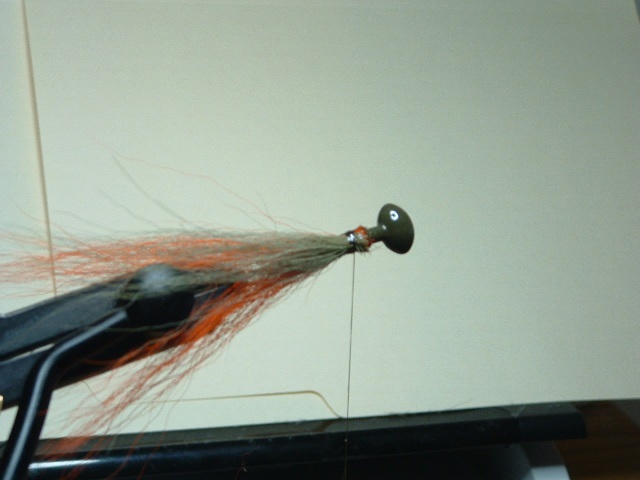 I am new to tying jigs or tying in general. 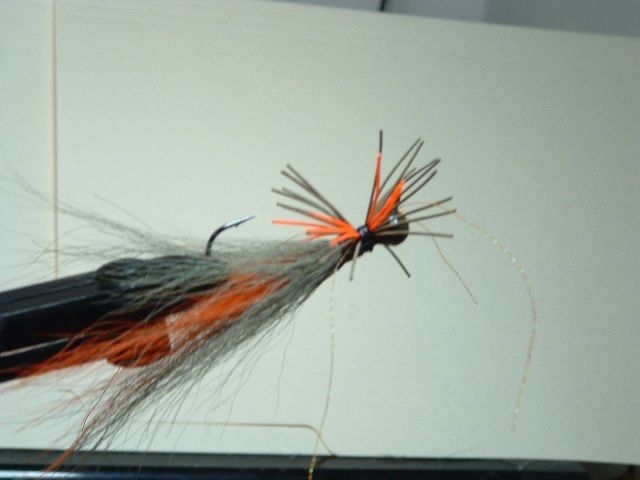 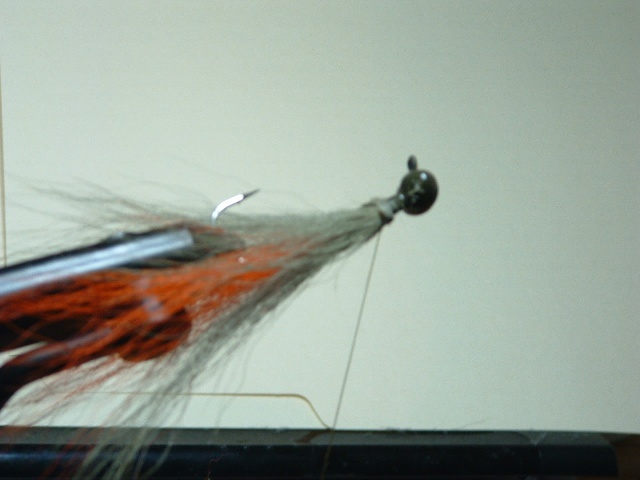 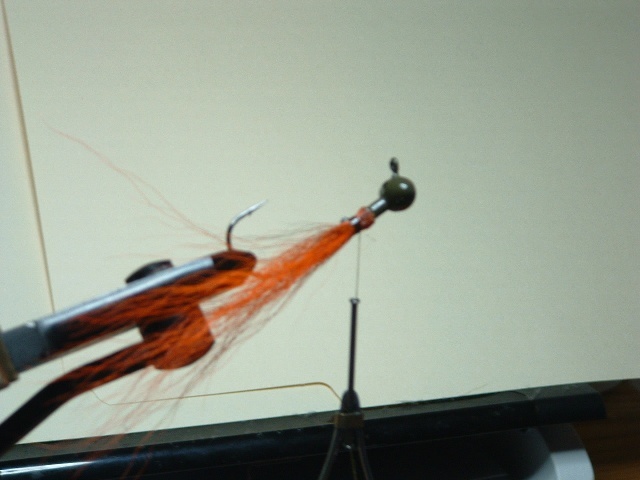 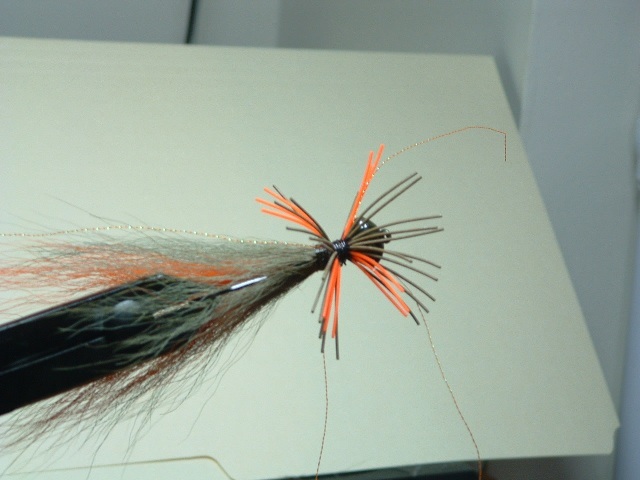 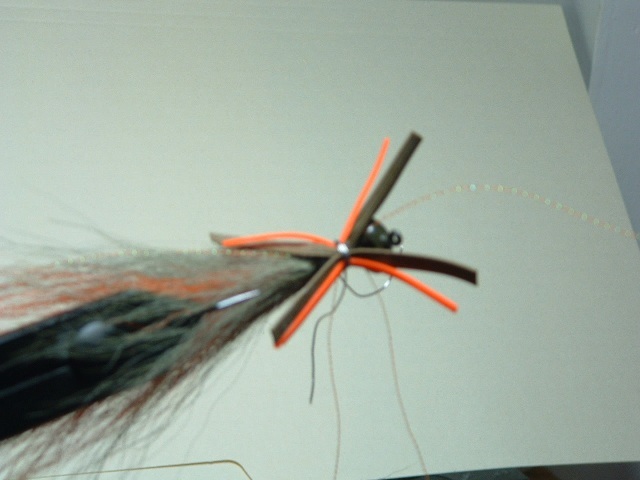 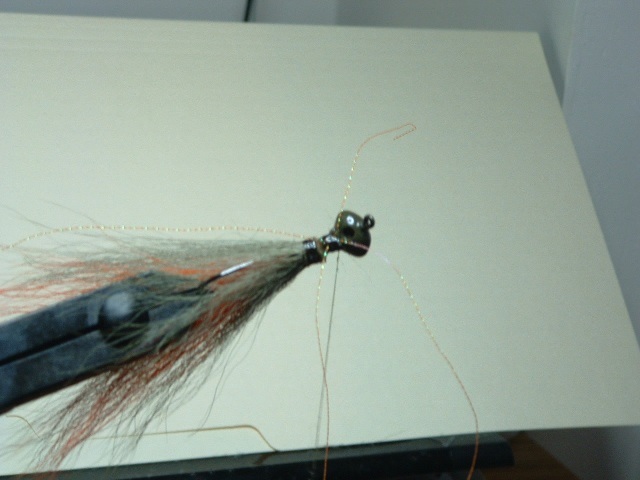 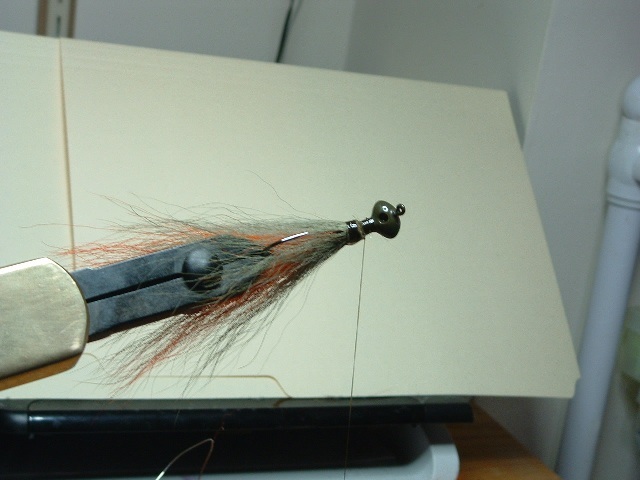 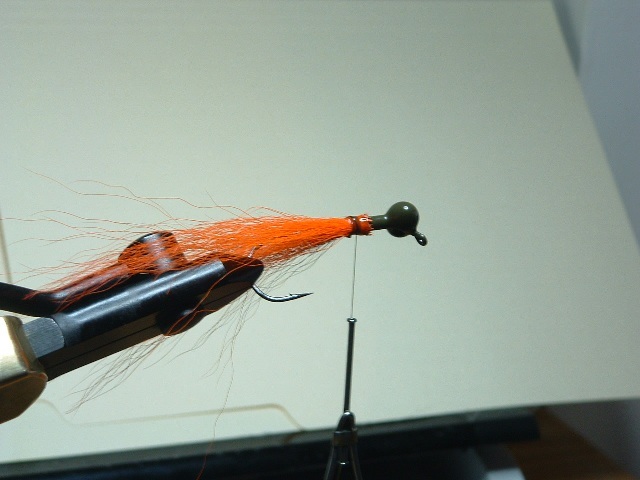 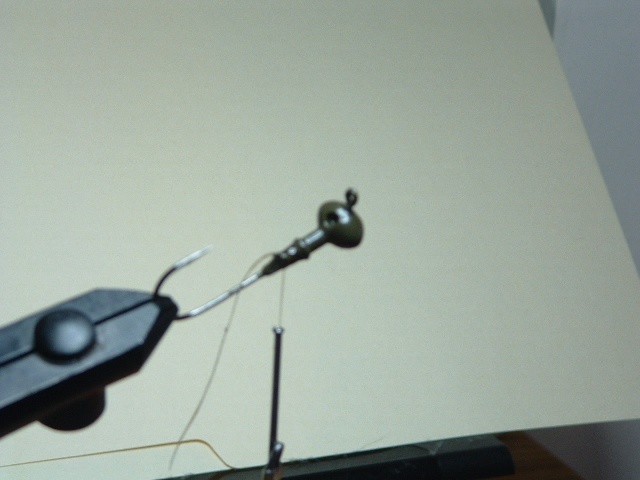 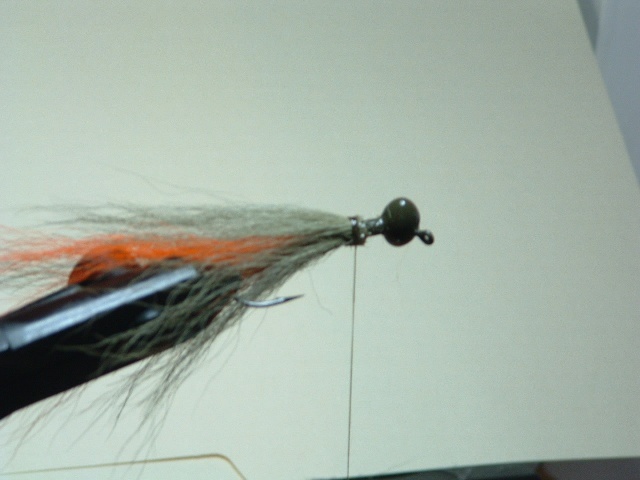 I have tied a few bucktail jigs and muskie trebles prior to this recipe. 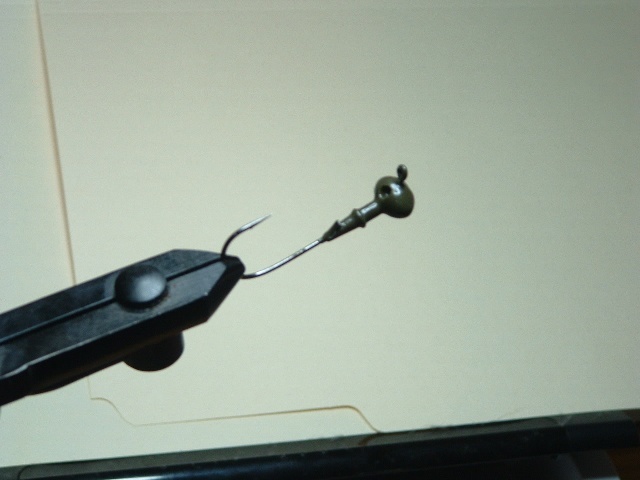 This was written to help other newbies. 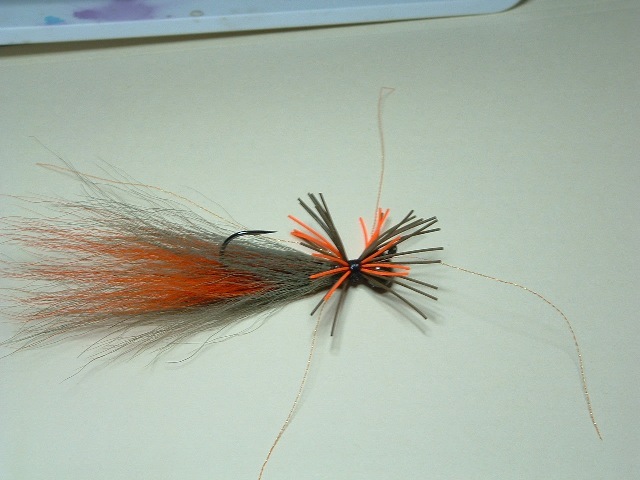 This was done with Green Pumpkin and Orange, but you can sub other colors to suit. 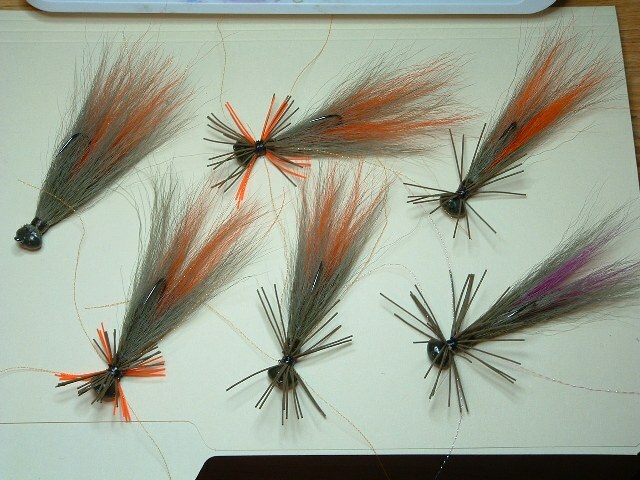 My purple bucktail is not here yet, but will be my next ones to tie. 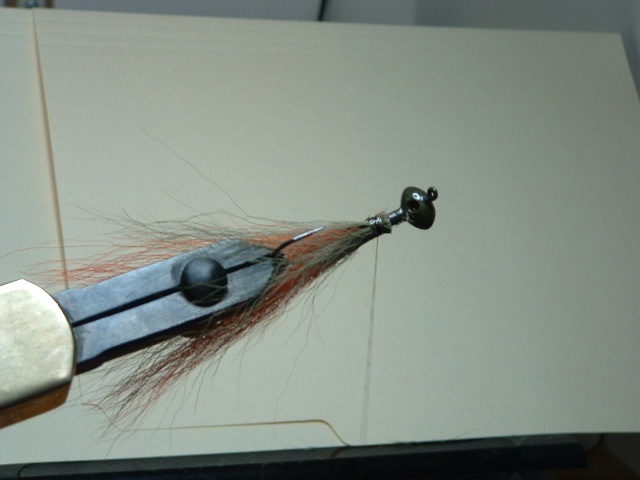 NOTE: Each tuft of hair has been locked in with 3 half hitches and head cement.